Personally, I think actor, racecar driver Bill Fichtner is actually a pretty good host! His scripted parts aren’t horrible to watch, he’s got a smooth voice and a decent sense of humor. He comes across well on screen, and it’s probably because of, you know, all of the acting. I just felt like the show was grinding with its constant Americana references, about how we work hard and do things differently than the rest of the world, and like stuff AMERICAN BUILT and AMERICAN TOUGH. Where the British Top Gear show has American punching bag Matt LeBlanc, this show has a British punching bag in Tom Ford. 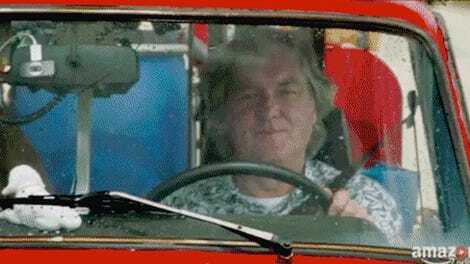 They really wanted you to know this was red-blooded AMERICAN Top Gear. It’s going to sound contrived and repetitive for me to say this about a Top Gear show, but the dialogue and studio scenes feel contrived and repetitive, with the same general grievances I hold with British Top Gear, which did get better last season, and the old Top Gear USA. Anyway, I won’t deny that the three new hosts have credibility, but what I do think made the originally successful UK Top Gear so effective was that Jeremy Clarkson, Richard Hammond and James May were British personalities, who were known before Top Gear for their personalities and odd jobs presenting on random shows as personalities. The new British Top Gear is a journalist, an actor, and one personality/presenter. 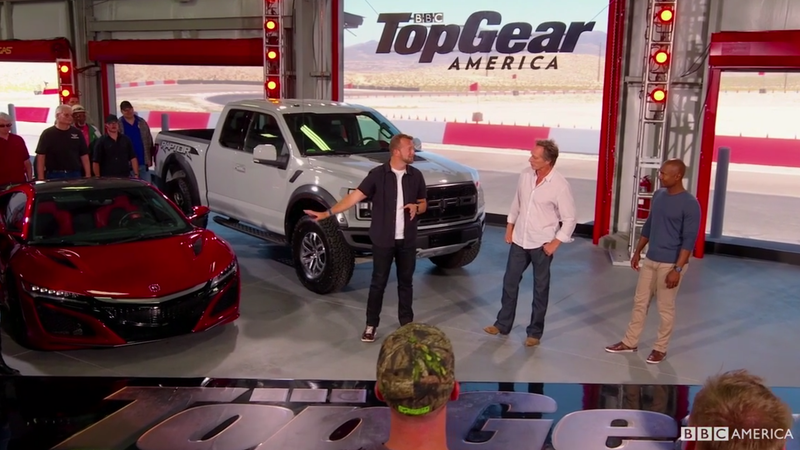 This new Top Gear America is a journalist, an actor, and a drag racer. Stop the contrived, scripted drama and please don’t continue to just do basic car reviews on a bigger budget. Show me something I won’t get reading an article or watching a YouTube channel. That should be the objective of television, you know; entertainment. Did you watch the episode last night? Do you plan to catch up with it? What did you like, and what did you dislike?